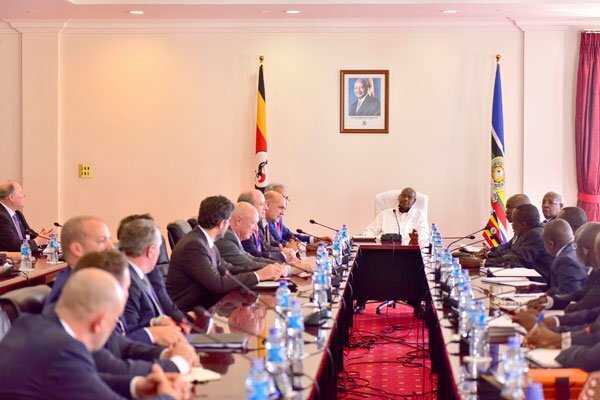 The businessmen from 11 UK companies, that deal in petrochemical, pipeline, power and renewable industries, met up with senior Ugandan delegates on Monday on a trip organised by the director of the non-profit Energy Industries Council,Mr Terry Willis. The discussions centered at how the firms can scoop some deals for contractor, supplier or operator businesses. They also shared information on investment environment, and potential partnership prospects. The UK Prime Minister’s Trade envoy for Uganda and Rwanda, Lord Dolar Popat, while at the British High Commissioner’s residence yesterday, confirmed that they were to meet President Yoweri Museveni Monday evening. “I want to see the UK revive and restore its trading relationship with Africa, which not so long ago accounted for 25 per cent of our Gross Domestic Product, but which has lamentably fallen to barely 3 per cent,” Lord Popat said. “As we (UK) prepare to leave the European Union, we have no choice but to be bold, enterprising, forward-looking and outward-reaching. The oil and gas sectors offer some of the most exciting possibilities for the UK, and my job is to connect British businesses to those possibilities.” He added.